Choreographer. Born in Hiroshima, Yokoshi currently lives and works in Kyoto. Yokoshi has been presenting her works in NY from 1996, winning Bessie Awards in 2003 and 2006. She is known to be active in a broad range of creative fields such as dance work based on Japanese literature, history and pop culture, a collaboration between Japanese and American high school students called “Yasuko Yokoshi x High School Dance Project”, and production of dance films. In addition, her performance is not only presented in various regions in the US but also in various other countries. 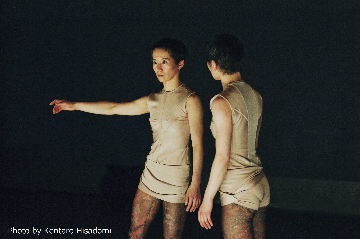 Yokoshi was also a commissioned artist for New York Live Arts Residency Program from 2011 to 2013. “ZERO ONE” has been recreated a number of times, staged at “Tori no Engekisai / Bird Theater Festival”(Tottori / 2014), and Danspace Project (NY / 2015) where it was chosen as “The Best Dance of 2015” by the NY TIMES.